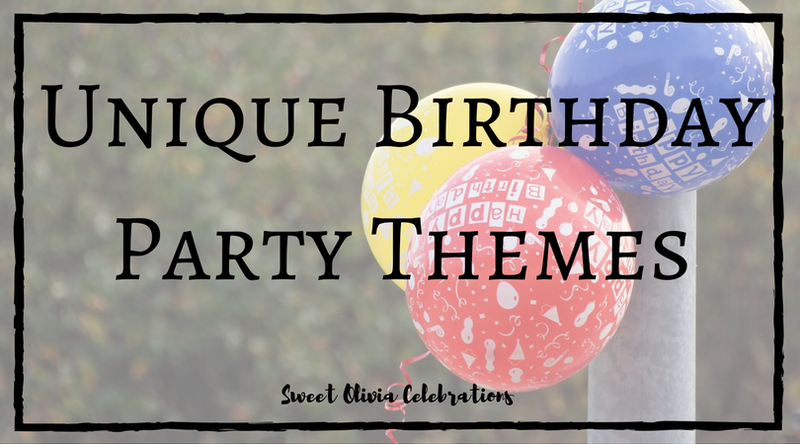 Kids and party themes are two of my favorite things! That’s why I’m really excited to be sharing today’s post with you from Sweet Olivia Celebrations. Today’s post is filled with unique ideas for your child’s birthday party! I can’t wait to hear which one is your favorite! Walk down the party supply aisle at your nearest store and you will no doubt find some popular themes. You’ll find the faces of the latest and greatest blockbuster movie, your child’s favorite TV show, and a few staples that have been around for years. But, what do you do if you don’t want to have a birthday party that looks like everyone else’s? How do you choose a theme that will be unique and your child will still enjoy? You will be happy to know that it’s easier than you think! You simply can look to your child for inspiration. What are your child’s favorite books? This idea is especially cute for younger children, as their favorite books tend to have bright colors and memorable characters that translate well to party décor and activities. Ideas: The Hungry Caterpillar, If You Give A Mouse A Cookie, and Chicka Chicka Boom Boom. Color Palette: Choose three of the more prominent colors from the book. For this example, I will use the book Chicka Chicka Boom Boom. My color palette would be: Bright orange, pink, green, and dark brown. Invitation: If your book choice is lesser known, consider attaching the invitation to a copy of the book so the child can become familiar with the characters and storyline. I know this could get expensive depending on the price of the book, so it may not be in your budget. If it’s not, search Etsy for a design based on your chosen book and ask the designer to personalize the invite with your child’s name and party information. Party Activity: Does the character do a particularly fun thing in the book? For our Chicka Chicka Boom Boomexample,use construction paper to cut out a palm tree shape and attach it to the wall. Let each child search for letters of the alphabet you’ve hidden around the room. When they work together to get all the letters of the alphabet taped on the palm tree, they all get a prize! Party Favor: Give each child a set of magnetic alphabet letters. A Farmers Market theme is one of the cutest I have seen! Color Palette: Use the bright colors of fruits and vegetables to make this party cheerful and fun. Pair these bright colors with natural elements, like straw hats and woven baskets. Invitations: Attach your invitation to a baggie full of fruit-shaped candy or fruit snacks. Party Activity: Make an activity of your menu. Have several types of fruit precut and allow the children to make their own fruit salad. Add in some fun elements like mini marshmallows and chocolate chips! Party Favor: Give each child a packet of seeds to grow their own vegetables or a mini potted herb plant. If your child loves art, have a painting party! Color Palette: Rainbow colors (red, orange, yellow, green, blue, purple) I usually don’t suggest so many colors, but with this theme, it works well! Put everything up against a white background to really make it pop! Invitations: Attach your invitation to a watercolor paint palette to wow your guests before the party even starts. Party Activity: Have plenty of paint and brushes available, along with a small canvas for each child. Let them create their own masterpiece! Party Favor: You can consider the painting their party favor, or provide a clean set of paint brushes for each child. 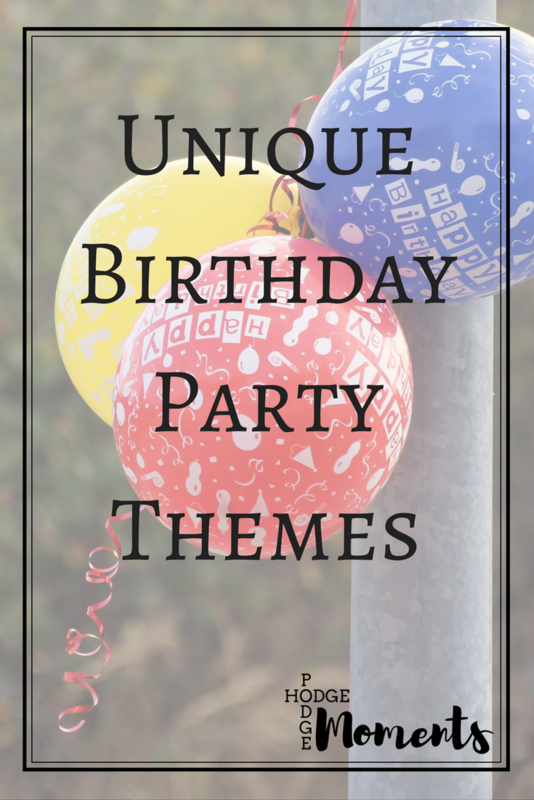 I hope these ideas got your brain working to think of a unique birthday party theme for your child. There are a lot of cool themed party supplies readily available at the party stores, but with a little bit of imagination, you can create a party that no one has ever seen before. Your party will be the talk of the town! Christa has always been a creative in her personal life, but it took her almost 20 years to realize her work should reflect that, also. 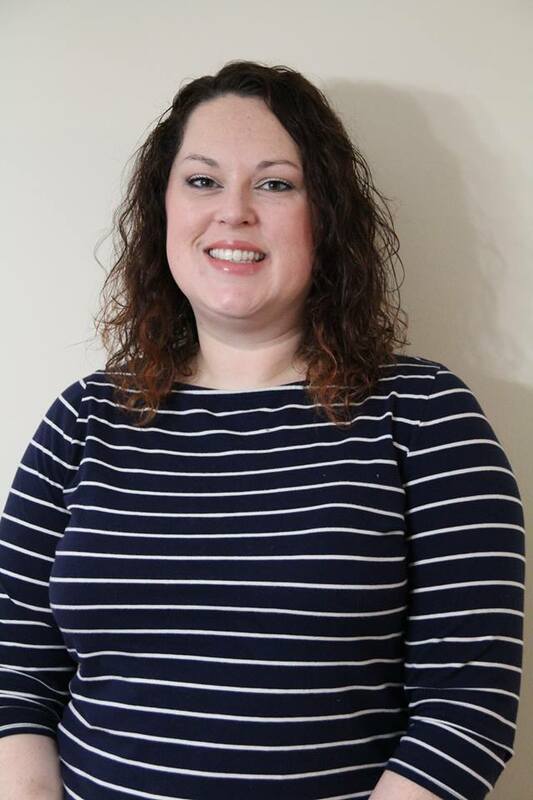 Through her event planning company, she helps brides-to-be make their wedding unique by infusing their own relationship into the wedding details. And through Sweet Olivia Celebrations, she empowers buys moms to celebrate their loved ones through parties.